BMW’s Mini E does 150 kmph and runs 240km on a single charge. But it needs a 23-hour charge for its 5,088-cell battery. The right battery could take a car 500km on an hour’s charge. You surely wouldn’t have seen any of these yet: A slim “007" Swiss watch with a built-in phone, GPS, push email and video. Or a 3G smartphone with GPS, camera, push email, instant messaging and video, which runs a week on a single charge. There’s more. A luxury electric roadster that does 0-100 kmph in 4 seconds, recharges in 15 minutes and runs 500km on a single charge. Or a 100-seater airliner that uses no fossil fuel, is electric, recharges on the ground and flies 5 hours on a single charge. All these are still in the realms of fiction for now. So why are we talking about them? Well, because the technology exists. We have super smartphones, watches with cellphones, electric cars, solar power and even electric aeroplanes. 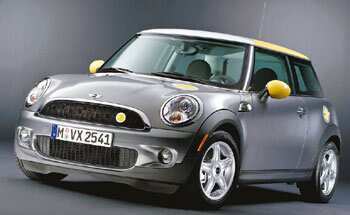 In Europe, you can buy BMW’s Mini E electric car. It does 0-100 kmph in 8 seconds and crosses 150 kmph. It goes 240km on a charge and packs an amazing 204bhp in its 150kW electric motors. But to power all this, its huge 5,088-cell lithium-ion battery replaces the rear seats, making the car a two-seater. It can charge in 4 hours through a high-voltage charger, but as buyers discovered, topping up through household electric outlets meant a 23-hour charge time. Battery technology is advancing, but not as quickly as other electronics. Five years ago, my Nokia 6310 ran a week on a charge. But then came the always-on 3G data, push email and GPS. So all the tech news here belongs to the future—waiting for the batteries to be invented. I’d put the one-week smartphone at 2011, the watch-phone at 2013, the 15-minute/24-hour car at 2015 and the electric plane at 2025. (Left) Low-power technology can stretch battery life. The Amazon Kindle’s (Rs20,000, ships 19 October to India) zero-power e-paper display helps it run for days on a charge. A regular battery could last a year of moderate use in an LED flashlight. (Right) Sanyo’s Supercell. Launched this month, Sanyo’s new Eneloop (which comes pre-charged) is the first NiMH battery that lets you recharge it 1,500 times. Your electronics use other batteries. Zinc-carbon dry cells are cheap for flashlights, but die fast and leak. Alkalines such as Duracell or Energizer last much longer. Lithium-iodide has a long life and powers pacemakers and hearing aids. It’s the same for zinc mercury oxide, also found in hearing aids. Silver-zinc is ultralight, so it’s used in aeronautics. Then there are the rechargeables. Nickel-cadmium was popular, but it has a “memory effect": Its capacity declines if you don’t discharge it fully. It’s been largely replaced by nickel metal hydride (NiMH). Even better is lithium ion: It’s light and packs in lots of power. This is one reason it is used in most mobile phones and laptops. A really promising one is lithium polymer. This is actually lithium ion, but the lithium is embedded in a solid polymer (plastic). This makes it flexible and adaptable to any shape: A battery could be designed as the rear cover of a mobile phone. There are also fast-charge versions. A Toshiba model can reach 90% charge in 5 minutes. Earlier versions degraded rapidly, but new ones can do 500 charge cycles before dropping to 80% capacity. So they’re great for phones and electric vehicles. The fuel cell is the likely future of the battery. It’s a power source that is inexhaustible as long as you replace the “fuel". All batteries use chemicals that react to create electricity. In an alkaline cell, once the chemicals are used up, you throw away the battery. In a lithium ion, charging reverses the reaction and recreates most of the original chemicals. In a fuel cell, when the chemicals are used up, you simply replace them. A fuel cell could use hydrogen or methanol or other fuels, making it react with oxygen in the air. The zinc-air battery can make a neat fuel cell. The plain zinc-air battery is single-use—not even rechargeable. But build it so that the zinc is replaceable and you get a fuel cell. Zinc makes a nice fuel. It’s solid and easier to transport than hydrogen. Zinc-air batteries are getting efficient and are good enough to power vehicles. Pure zinc is non-toxic. The solid waste is zinc oxide, which can be reprocessed into zinc. The aluminium-air battery packs even more energy, but has a low shelf life and high price. It’s used in some military products and it has potential in power-starved countries which have a lot of aluminium scrap. Is there life beyond a battery? (left) The Reva goes 80km on an 8-hour charge and the batteries make up at least 40% of its 665kg weight. A new lithium-ion version drops weight by 100kg and charge time to 6 hours, and extends range to 120km. (right) Nasa’s fuel cell is the next-generation battery. When it’s discharged, you replace the fuel. It’s good for electric cars or heavy-use electronics. Some call solar power an alternative. They’re wrong. Solar power needs a battery. My Citizen watch is solar-powered, but it has a capacitor-battery to store the power. We could power whole cities with solar panels, but how do we store the energy for nights or cloudy days? Such mega batteries don’t exist. So wherever you go, down every road, there’s always one more battery. These are getting better, but it’s a long, slow, uphill road. And the battery keeps slowing us down, overtaken by the demands of electronics and electric vehicles. Prasanto K. Roy is chief editor at CyberMedia.